A cute little blog post for a cute little park! 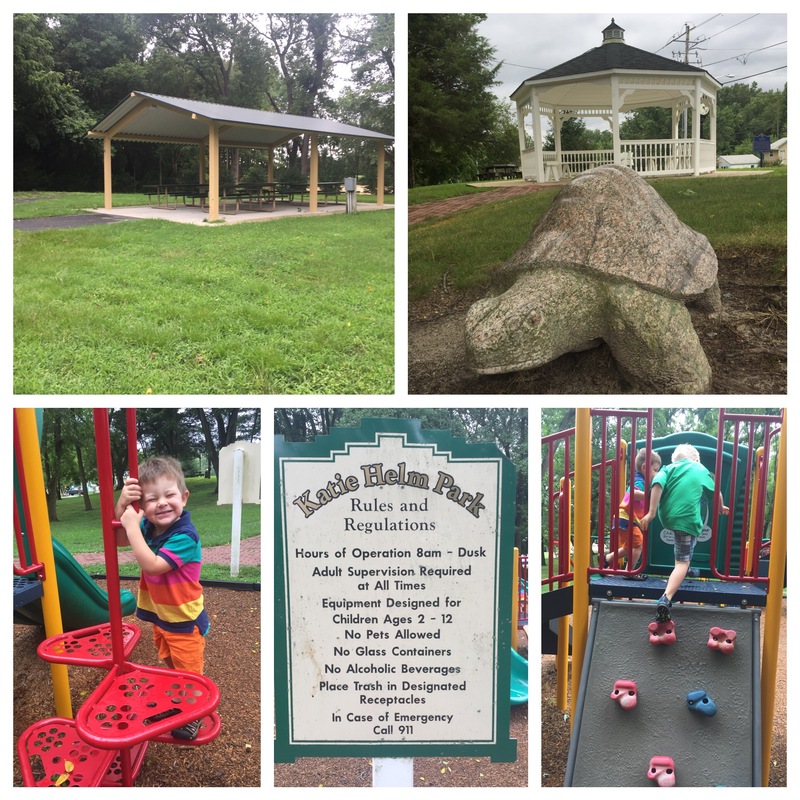 Katie Helm Park in Dagsboro, DE is on the “petite” side but we don’t discriminate. 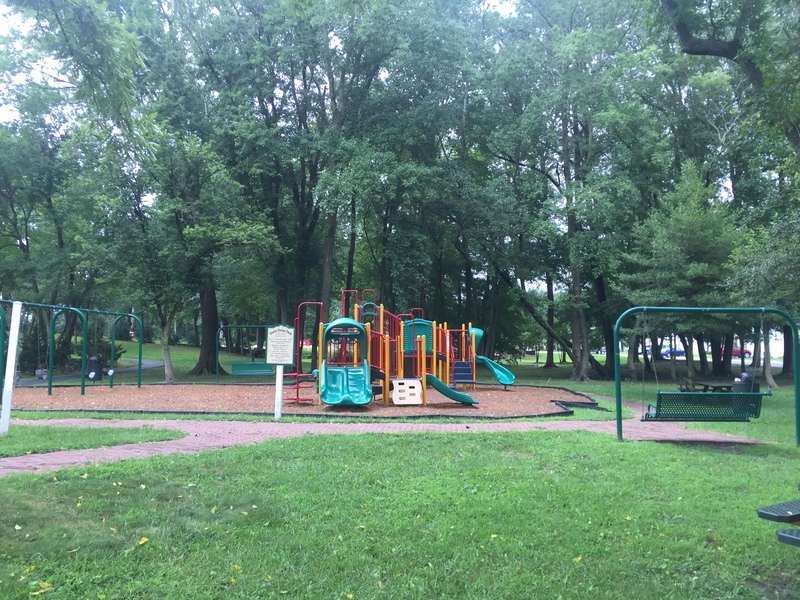 The cool thing about parks and playgrounds is that no two are exactly alike and I have set a personal goal to go to every one in the state at some point! When we stopped here we had time to kill, but 90% of the time when we go to a park, we have a limited amount of time to spend so we tend to rush through everything. It’s SO much nicer when you can just sit down, hang out, and let the kids play for however long they feel like it. We loved that this playground offered adult swings and lots of mature shade trees. There’s also a picnic pavilion and a cute little gazebo. We made sure to leave some painted rocks of course. The boys each hid one!